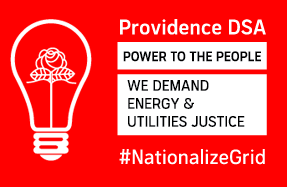 You might have heard about Providence DSA’s #NationalizeGrid campaign on Twitter or seen this Jacobin article about our effort to evict Rhode Island’s shareholder-owned monopoly utility, National Grid, and to bring our state’s grid under public ownership. Since then, there have been challenges—and some exciting developments which we’re excited to bring to you as we attempt to decarbonize, decommodify, and democratize Rhode Island’s utility system. 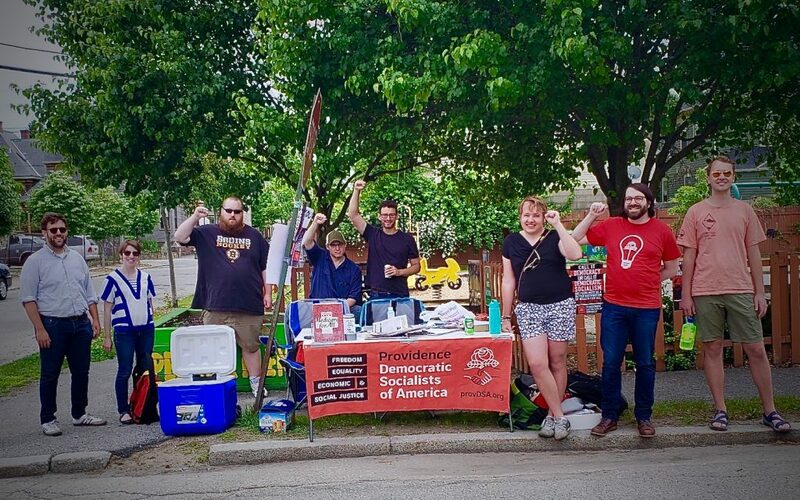 Last summer, Providence DSA was in search of a campaign where our small chapter could focus our entire organizing energy. Drawing from our principle of internal democracy, several campaigns were researched by chapter members and presented at our general meeting. Following these presentations, a secret-ballot vote was held among members. That is how we ended up starting a campaign focused on utilities justice which would later be named #NationalizeGrid. Our members recognized the unique benefits of such a campaign. 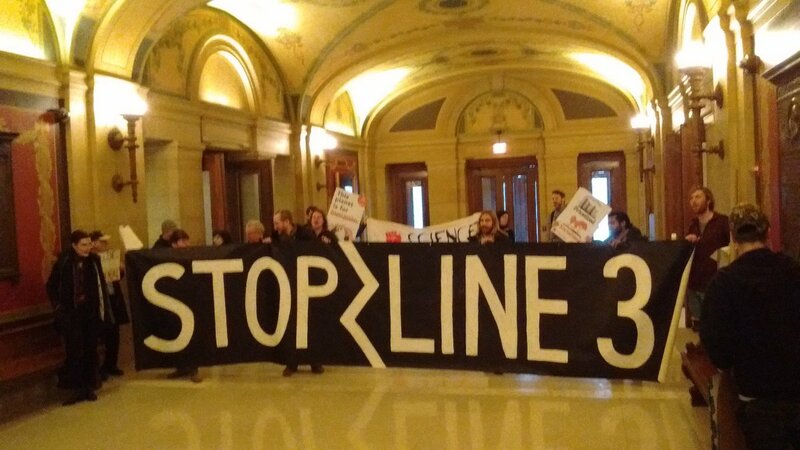 A utilities campaign allows us to organize around economic justice and environmental justice simultaneously. It allows us to talk about poverty, welfare reform, climate change, environmental racism, monopolies, and models of collective ownership. 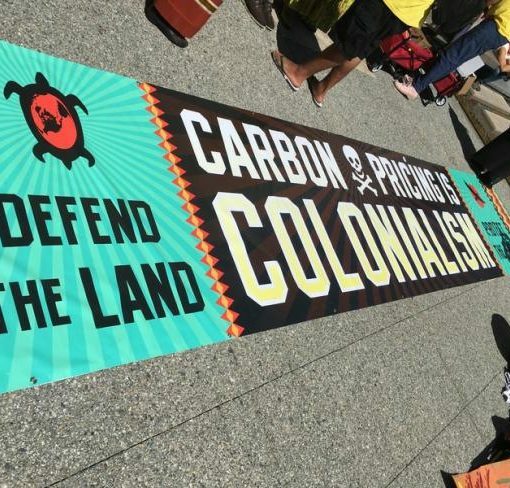 It allows us to inject some much needed class politics into the local environmental movement while also bringing an ecosocialist analysis to wider economic justice activism. This campaign was made all the more appealing because it included a willing coalition partner in the George Wiley Center, a welfare rights and poor people’s organization which has been working on utilities justice issues for over 30 years. 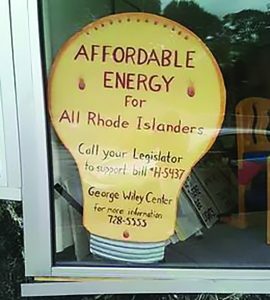 Named after Rhode Island native and founder of the National Welfare Rights Organization, George Wiley, the Center has been working on the front lines with people who face significant energy burden and the ever-looming threat of utility shut-offs. Their experience and knowledge was invaluable in helping us get our campaign off the ground. While we were enthusiastic and recognized this as a fantastic organizing opportunity, none of us were extremely knowledgeable about the specifics of Rhode Island’s utility system beyond our experiences as National Grid customers. Our first step was clear: Research and self-education. On this front, the George Wiley Center provided major assistance. With their help, a group of 25-35 members went about researching the nature of National Grid’s operation in Rhode Island, the complex regulatory structure which governs National Grid, and the status of the insufficient income assistance programs.After this was completed, they shared their discoveries with the general membership. Through this collective effort, we were able to gain a level of knowledge sufficient for engaging with the public and regulatory structures. Just as we were gaining our footing , our first major challenge appeared. National Grid announced an attempt to take hundreds of millions of dollars out of the pockets of Rhode Islanders through a mix of rate increases and capital investments. This package included $71 million in rate increases, tens of millions for software and cybersecurity updates, and tens of millions for ineffectual so-called grid modernization investments. The irony was enraging: While National Grid was trying to sell itself as a greener utility which was ready to become “the utility of the future,” they were also attempting to build a Natural Gas Liquefaction (LNG) facility in South Providence. Not only does this facility signal that National Grid is not planning on transitioning from fossil fuels to renewable sources any time soon, this facility is going to be built right next to a predominantly working class and POC neighborhood. It was infuriating to us that a company willing to enact egregious environmental racism on our communities would attempt to represent itself in such a dishonest manner. But this is nothing new, companies across the energy sector are attempting to rebrand as environmentally friendly, covering their operations in a green sheen. We quickly started to craft our messaging on the rate increase which merged perspectives of environmental and economic justice. 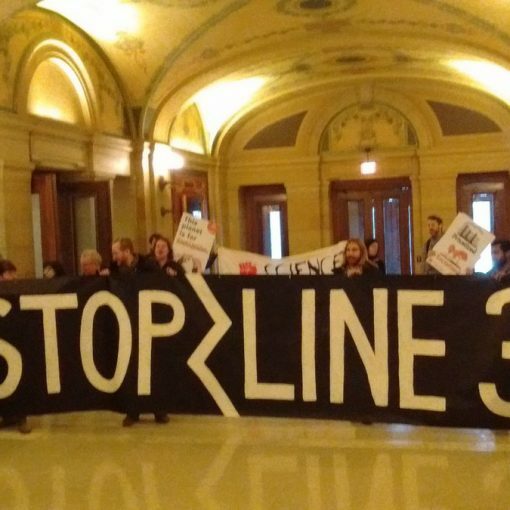 This highly-profitable energy conglomerate was asking our state for a ransom and justifying it by hiding their destructive operations and putting on a green front. It was now our job to let the public know what was happening, and to let the regulators know that we wouldn’t stand by and accept this. Elected officials, including Gov. Gina Raimondo, expressed their “disappointment” at National Grid’s rate increase, but they failed to communicate the distrust and disgust the general public feels towards their monopoly utility. They did nothing to act concretely or to hold National Grid accountable or prevent the rate increase. We knew that someone had to be that voice and to empower the public to speak their anger. Along with our partners at the George Wiley Center, we began mobilizing our memberships and the community to attend public comment hearings before the state’s Public Utilities Commission (PUC) to ensure they understood the intensity of the public’s opposition to the proposed revenue increases. We also worked with the George Wiley Center to introduce legislation to the Rhode Island General Assembly which would institute a Percentage of Income Payment Plan (PIPP) for low-income utility customers. This program would assure that low-income customers receive a bill they can afford by charging them a low percentage of their monthly income. While we were able to find some support in the Assembly, the bill failed to win the approval of the Democratic leadership and we were unable to get the bill past the powerful House Finance Committee. Although our first attempt at legislative reform was not successful, our engagements with the Public Utilities Commission have yielded some positive results. After the disaster that was the Providence public comment hearing. Held at Hope High School, a notoriously underfunded school, members of the public were given a serious impression that their input was unwanted. When people attempted to enter through the man doors, they found them locked. Only after extensive searching was an unlocked side door found. The hearing took place in the school auditorium, which had only 3 functioning light bulbs lighting the entire space. 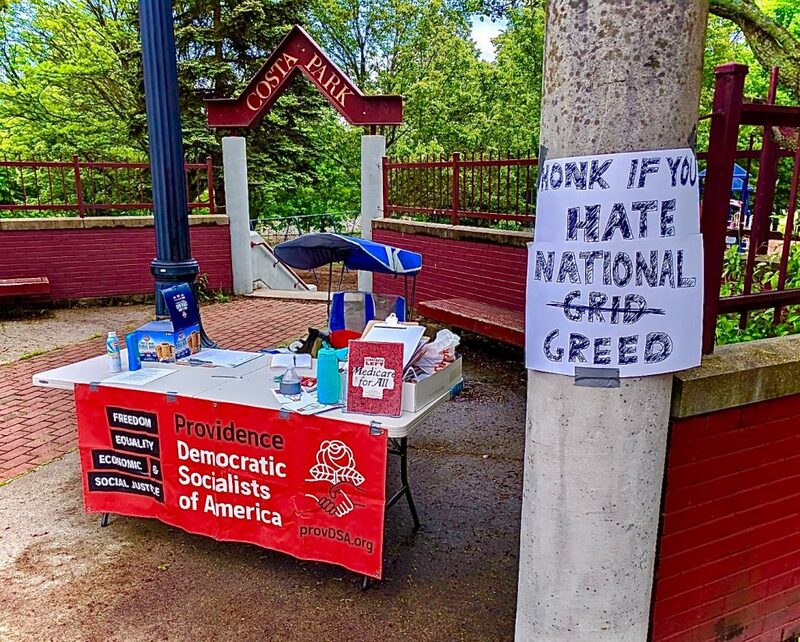 Following this boondoggle, Providence DSA drafted a letter demanding that the PUC hold a hearing in South Providence to involve the public in the regulation of the utility system. While they ceded to our first demand, they once again failed to do enough to inform or engage the public. We attempted to pick up that slack. We began canvassing South Providence, informing residents about the rate increase and the upcoming public comment hearing. Our chapter had yet to participate in canvassing efforts, so this was a great way to increase our organizational capacity. But while we engaged dozens of people in conversation and heard universal negativity directed at National Grid, the community did not trust in the regulatory structures. Convincing them that their participation would have a positive payoff was a hard sell. However, despite these challenges, our organizing work has yielded results. Following our agitation, it became clear to the PUC and officially-recognized stakeholders in the rate case that concessions would have to be made. As a result of our efforts, and crucially those of the George Wiley Center (recognized by the PUC as a stakeholder) the rate increase was reduced to $34 over three years, and National Grid will be subjected to closer oversight of their grid modernization efforts. It was also compelled to adopt a more robust low-income customer discount. This settlement between National Grid, state regulators, and reformist environmental organizations like the Acadia Center, represents a recognition of the public’s outrage and the strength of our organizing. The concessions won here are significant, but obviously not good enough. Even though the new low-income discount is far more robust than the previous program, it remains less effective at providing an affordable bill or preventing utility shut-offs than a PIPP program would be. 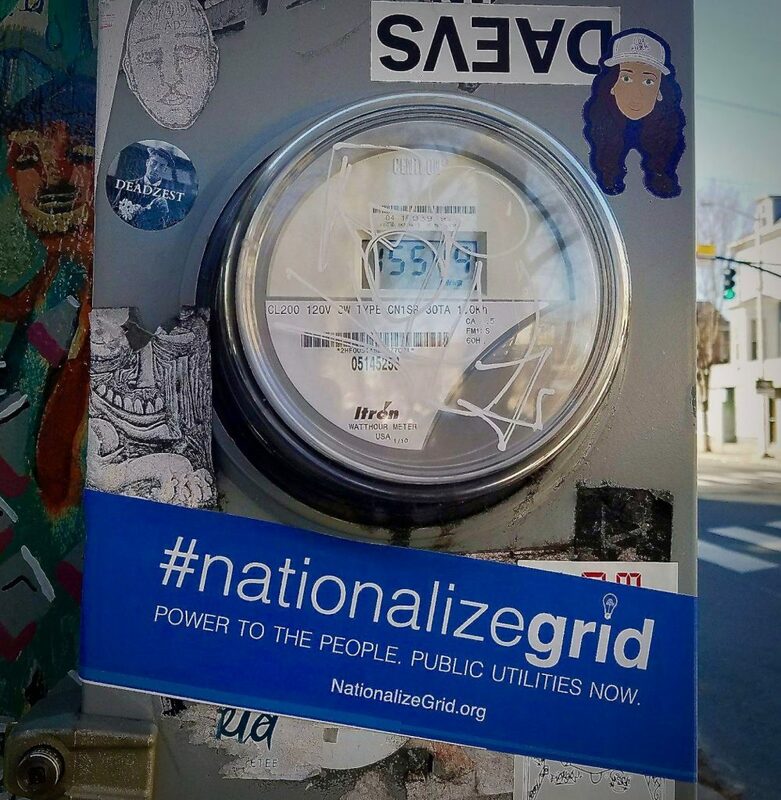 And while the increased revenue will supposedly improve National Grid’s service, and grid modernization efforts will drive down costs, we remain distrustful of a conglomerate driven only by the greed inherent to their position as a private enterprise. So we remain conscious that even if we have blunted this attack on the working class residents of Rhode Island, we must do more than slow the bleeding. If we want to start making actual progress, we must offer an alternate vision of a publicly-owned utility system. 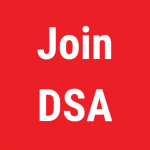 Providence DSA understands that we must go on the offensive and move towards pioneering a radical model of real public utilities in our small state. As socialists, we will not be content with fighting so that a privately owned utility is robustly regulated, because we know that a private utility is incapable of enacting a just transition. The time has passed for society to argue about what level of fossil fuel exploitation is appropriate or what level of commodification is acceptable. We are not fighting to reform the system, we are fighting in order to do three things: decarbonize, decommodify, and democratize the system. To do that, we first need to attain public ownership. We must decarbonize our utilities so that we can prevent further greenhouse gas emissions and combat the worst effects of the impending climate crisis. That means we must ensure that the generated energy which utilities carry must be sustainable and renewable. We must decommodify our utilities because we recognize access to electricity and home heating is necessary for the fulfilment of a dignified life, just like education, healthcare, sustenance, and housing. As socialists, we recognize that there is no legitimacy in treating these necessities as commodities which exist for the enrichment of the few rather than the benefit of all. Under public ownership, the direct profit motive and ability of private capitalists to directly set prices is removed. But we are not naive enough to believe that public ownership truly means working class control, nor that it will in and of itself take the radical actions that are needed. 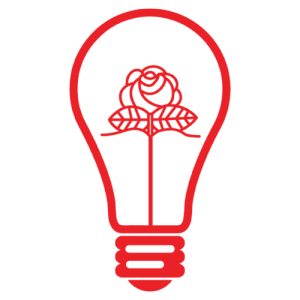 As this recent piece by Quiet Corner DSA’s Katy Slininger describes, we have plenty of examples of publicly owned utilities and energy companies which, driven by “market forces,” continue to commodify energy and exploit fossil fuels. We know state capitalism is not a meaningful improvement over private capitalism. This is why we assert that we must also democratize the structures of public utility ownership. We must ensure that utility workers have real power, not just influence, in the way their utility is run. We must ensure that working-class and communities of color have real power to prevent environmentally-racist projects and ensure equitable services and investments. We must not let the bureaucracy of the state to placate us with studies and committees. 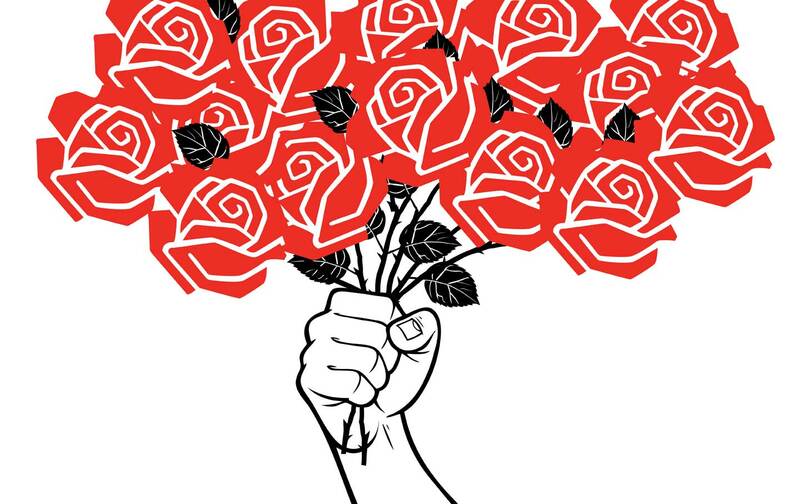 The Providence DSA chapter offers a bold, ambitions, radical vision of a different way to do things. Our advocacy has already paid small dividends and shifted the Overton Window locally. Two progressive challengers for Rhode Island’s highest state offices, Governor and Lt. Governor, have made public ownership in the energy sector key parts of their platforms. 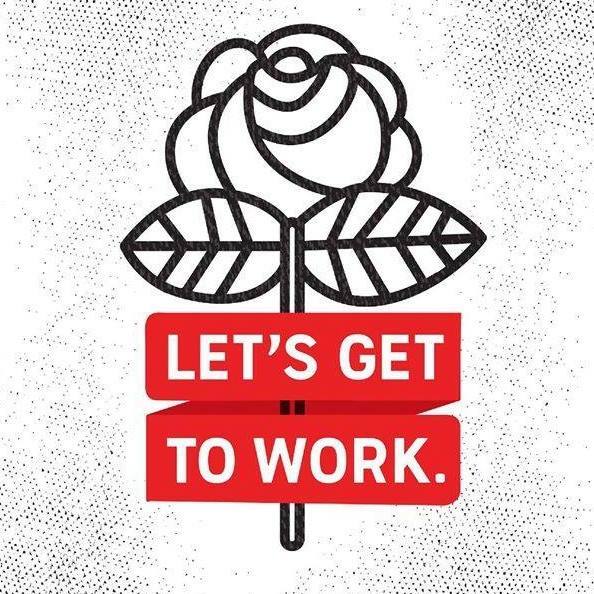 But while we take a certain amount of pride in influencing local Democrats, we take far more pride in the impact that our vision and campaign has made inside DSA. We are thrilled that our campaign has resonated with our DSA comrades across the country. 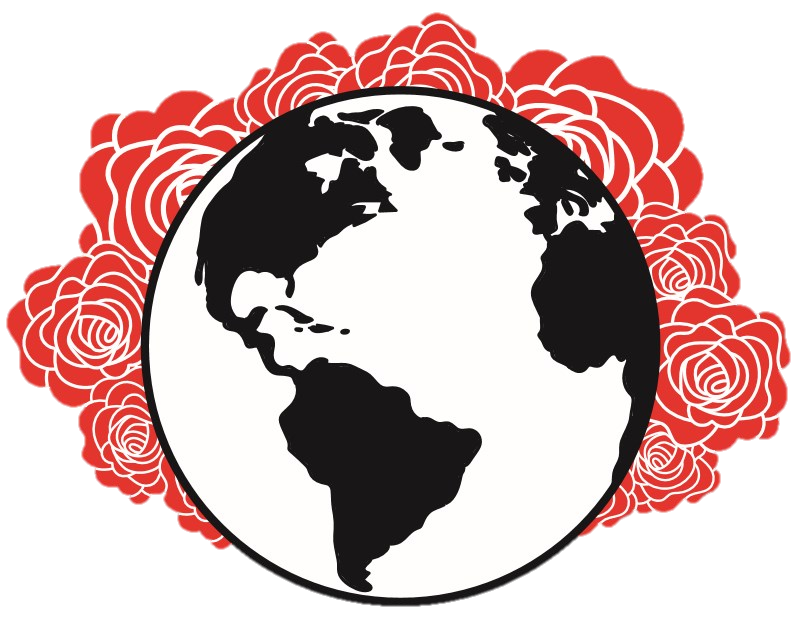 Providence DSA recently held a webinar with DSA members around the country in order to inform interested parties about our campaign.. We are thrilled at the possibility that more chapters could build off of our model, and that regional coordination aimed at specific companies may be on the horizon. As we approach the end of the first year of this campaign, we are simultaneously encouraged at what we have accomplished and incited because we couldn’t do more. But when we started this campaign, we knew it would be a long haul. 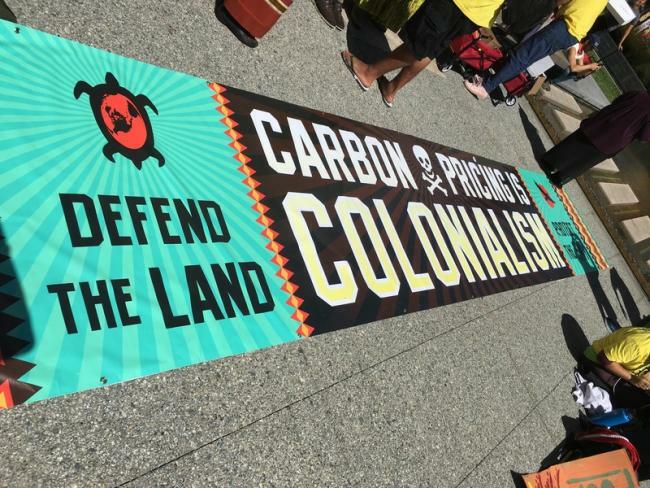 We have reached the end of our first big battle, as a settlement agreement has been approved by the PUC. But we know that this is just the start. Our chapter has become stronger and more effective, the contradictions of National Grid’s operation are becoming more clear, and the public’s desire to remove National Grid is growing. We also know that the climate crisis will continue to get worse. The moment for radical action is now. We cannot afford to wait any longer, we cannot accept the status quo. The status quo is killing us. It will not save us. We must save ourselves. This campaign update was written by Will Speck, co-chair of DSA Providence. Interested in learning more? 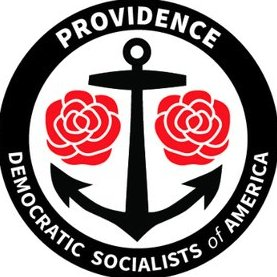 Visit the DSA Providence campaign website here.